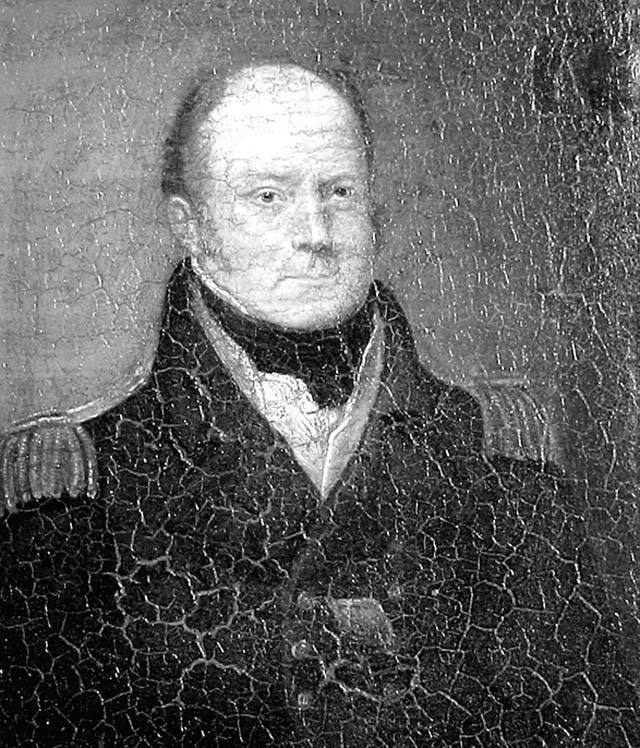 Broughton Street in Vancouver, Broughton Island and Broughton Strait off Vancouver Island are named for William Robert Broughton, Captain Vancouver's second-in-command who captained the Chatham. Broughton is important historically because Britain based its claim to the Oregon Territory largely on Broughton's explorations of the Columbia watershed. Broughton also first described Mt. Hood in Oregon. Born in 1763 in Cheshire, Broughton served as a midshipman under Captain Knight in the American Revolutionary War in 1776 and sailed with Knight on the Victory in 1790. After Vancouver completed negotiations with Bodega y Quadra at Nootka Sound, he sent Broughton back to Britain asking for further instructions. In July of 1793, Broughton reached London where he was given command of the Providence in October. Broughton embarked from Plymouth in February of 1795, with Zachary Mudge as his second-in-command, but failed to reunite with Vancouver who had already reached the Atlantic on his return voyage. Broughton reached Nootka Sound for a second time in March of 1796. He consulted with his officers and they decided-erroneously-that Captain Vancouver had probably already surveyed the west coast of South America as instructed. They set sail for Asia to survey the coast from Sakhalin to the Nanking River. After Broughton crossed the Pacific to Korea and Japan, the Providence sank off Taiwan but Broughton had already taken the precautionary measure of obtaining a second ship in Macao, the Prince William Henry, with which he was able to complete his voyage back to Britain. He described his surveying expedition in a book that appeared in 1804. Broughton was Commodore in the East Indies from 1807 to 1809, leading to his unsuccessful attack on Java and his return to Britain in 1812. He became Colonel of Marines in 1819 and died in Florence in 1821. [Alan Twigg / BCBW 2014] "1700-1800" "English"